Peace, Love and Ice Cream! 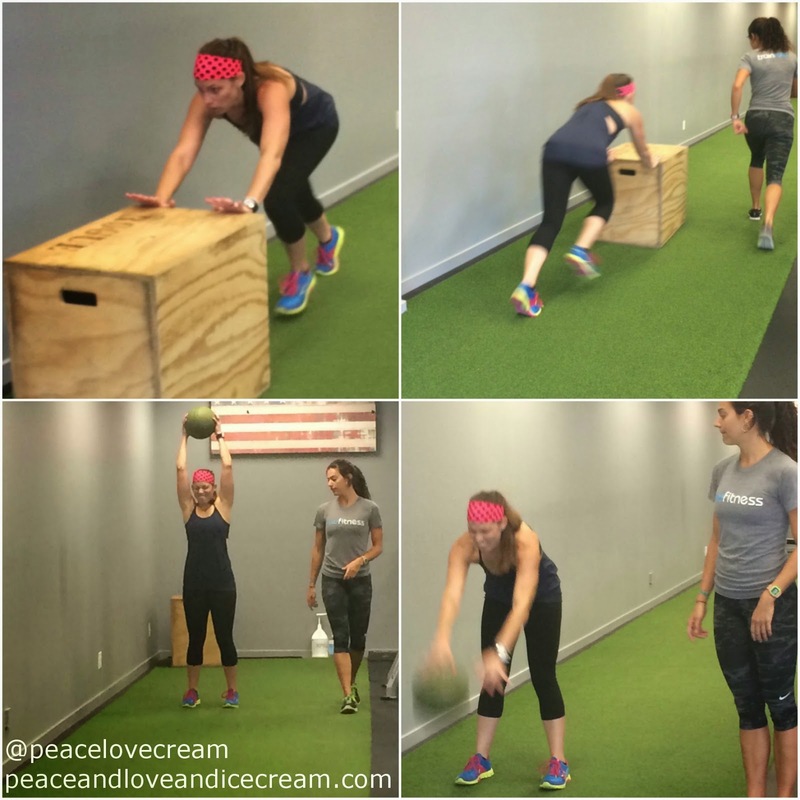 : Thinking Out Loud #3: Half Marathons, and Vitalicious, and Raw Fitness, Oh My! 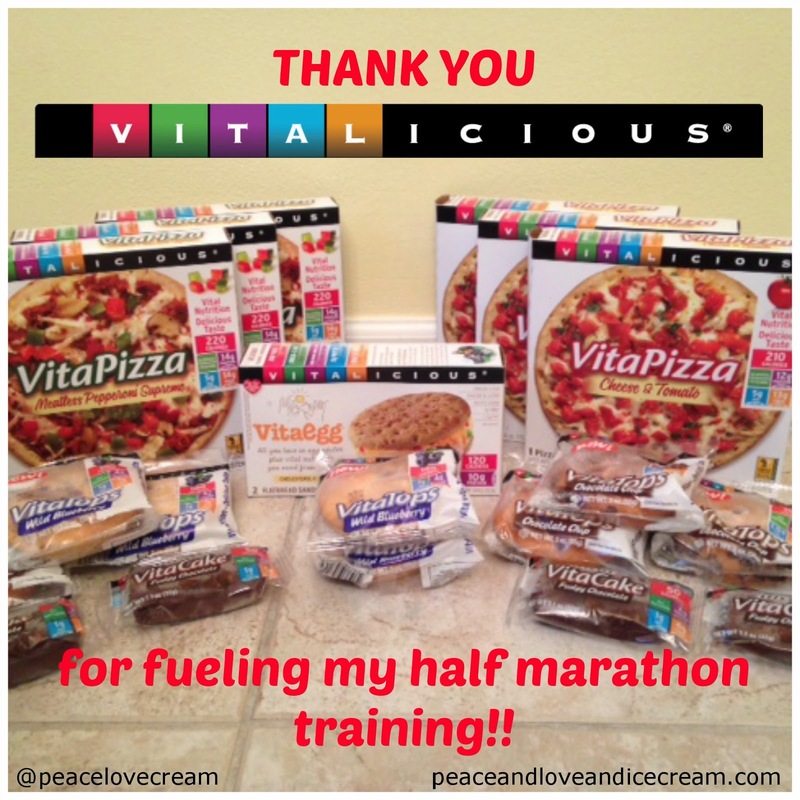 Thinking Out Loud #3: Half Marathons, and Vitalicious, and Raw Fitness, Oh My! And I'm super excited about all of my thoughts in today's post...a lot of fun stuff that I've been meaning to share for weeks..... Now on to the list!! 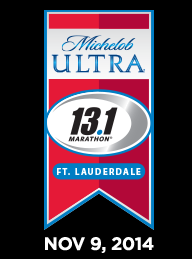 (1) I FINALLY signed up for the half! 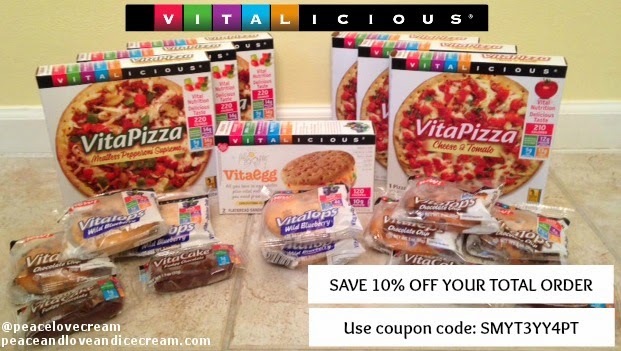 (2) My friends at Vitalicious are the BOMB! A large package (with some scary dry ice!) arrived with a handful of each of their amazing products!! You already know that I'm the VitaTop's biggest fan...but I think after I eat my way through this package I'll have made some new favorites too! We actually tried the VitaPizza for the first time last night and both kids gave it 2 thumbs up!! 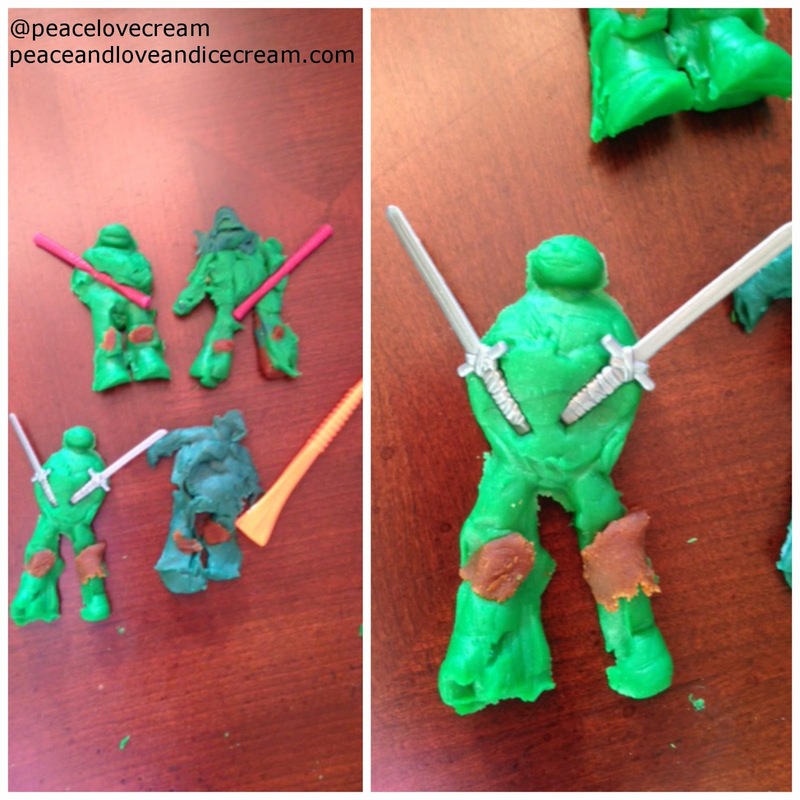 (3) The Teenage Play Doh Ninja Turtles! This was just 1 of the dozens of presents that my son got over the weekend for his birthday! 2 of his favorite things: Play Doh (it makes a mess and you can squish it!) & the TMNT (they are ninjas and they love pizza!). I love doing arts & crafts and I love when he gets those type of gifts....and so does he! So we my husband first made this dish about a month ago and it was so so so good! Just perfection! Well wouldn't you know he couldn't remember exactly what temperature the oven was set to or how much time said eggplant spent in said oven the next time he went to make it.... Wonderful! Slice an eggplant length-wise. Place on a baking sheet skin side down! 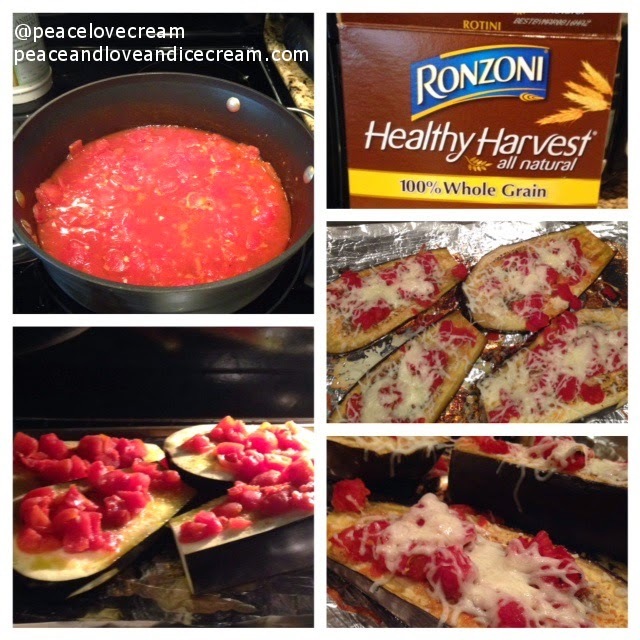 Pour some canned tomatoes on the inside of each half. Bake, open side up, for at least 35-40 minutes. 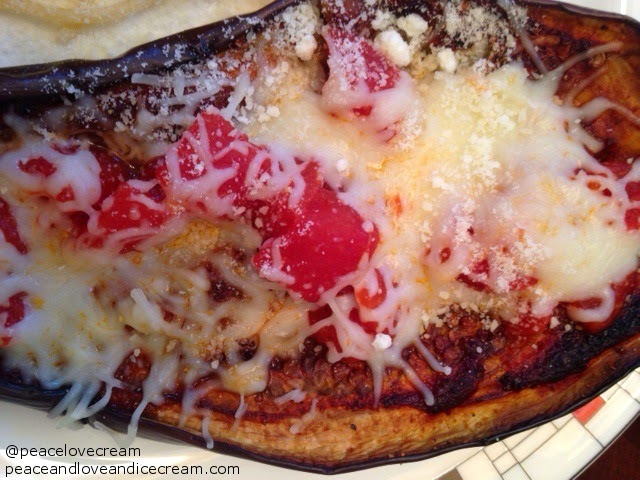 PLEASE keep an eye on it and try to use your best judgment - it takes a while for the eggplant "meat" to get really soft. Use a fork to see how soft the inside is to decide whether it needs more time. OPTIONAL: For the last 5 minutes of baking you can sprinkle on some shredded mozzarella! So yum! Good luck (lol) and, if you do make it, please let us know (a) what you did and (b) how it tasted!! 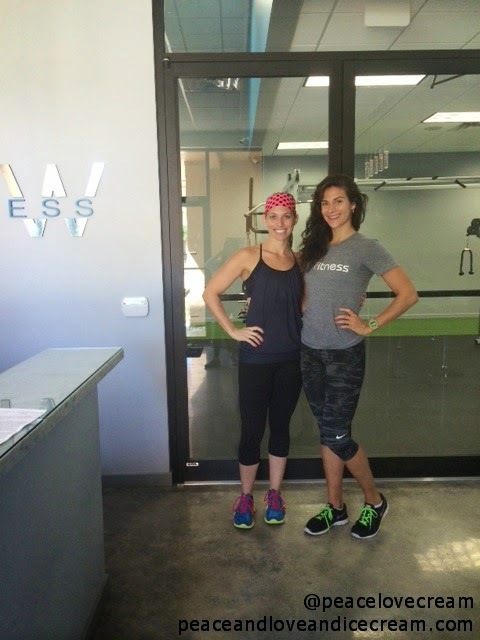 If you live in South Florida and can get to Raw Fitness in East Boca, you should!! 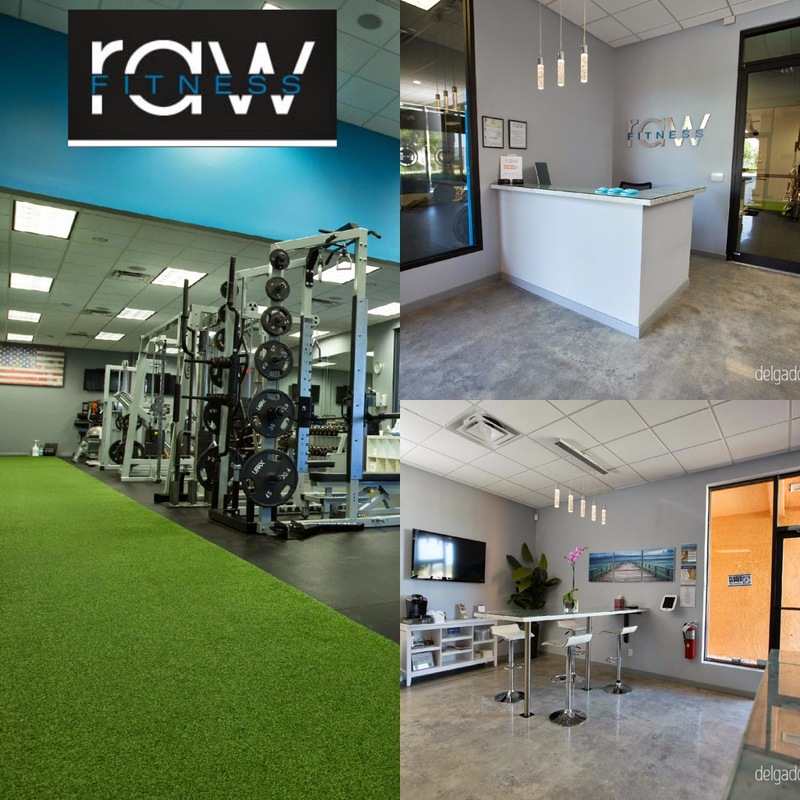 Raw is a boutique personal training gym which means no crowds and one-on-one attention. You're not wandering around aimlessly from machine to machine. You have a certified personal trainer guiding your every move....from your warm up on the treadmill to the cool down stretch and massage (which is the way they end every session!). The facility is clean and everything is new! 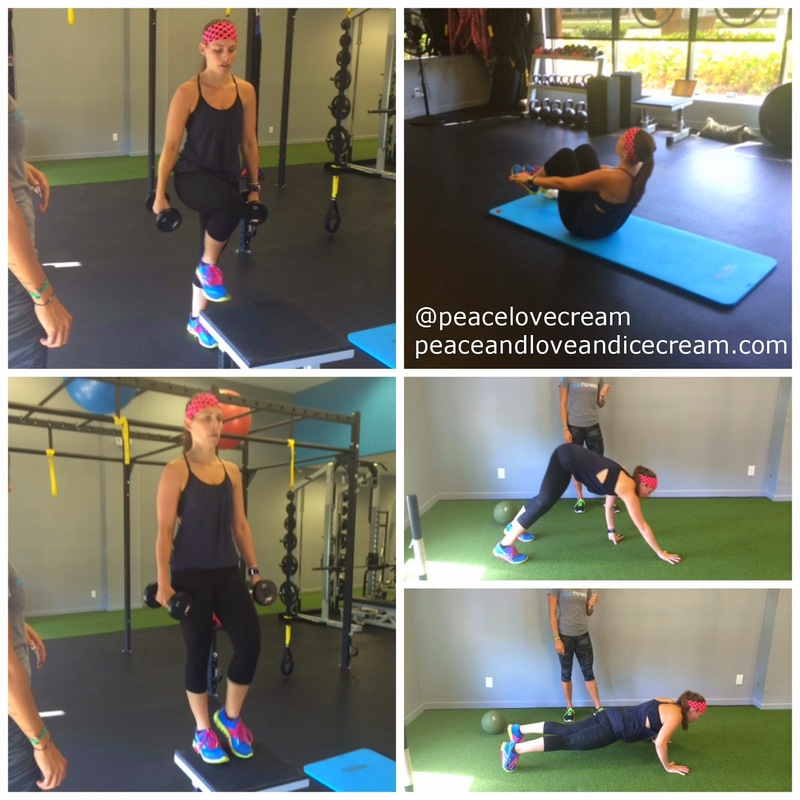 They have some conventional gym equipment, but most of their equipment is for functional, dynamic exercises that are sure to give maximum results. Sasha and I chatted for a while before my workout which helped her determine the type of exercises she would include in my session. The workout was AH.MAY.ZING!! Total body, right-up-my-alley, high intensity goodness!! I was beyond happy with my experience at Raw! #SouthFlorida friends: Raw offers a FREE 60-minute Vinyasa yoga flow every other Sunday at their studio (in East Boca)!! Sweet!! I've been and it was a great class....perfect for all fitness levels and ages! Check out their Facebook page & don't forget to "LIKE" this amazing gym - they update their social media daily with things like motivational quotes, great deals that they're running and their yoga schedule! Alright guys, I'm outtie! After this post I am tired! Tell me what you're #ThinkingOutLoud about today!! !